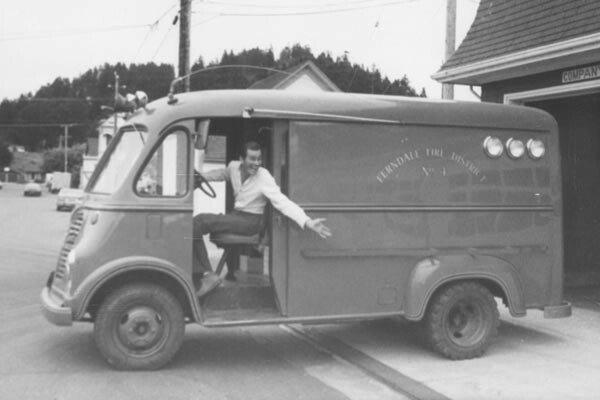 This 1960s vintage International Harvester Metro Van was converted into Ferndale’s first rescue truck sometime around 1979 according to Joe Koches and photos that we have of it. Rescue 4 was known as the bread truck, because that’s what it was in its former life. It stored air bottles, ventilation fans, and other support equipment for the firefighters. It also had a generator on board. It was retired when the Chevrolet R4 was purchased. The first photo below is of Joe Koches showing it off when it first went into service.